The New India Assurance Company Limited (NIACL), A Government Of India Undertaking, Has Released A Recruitment Notification For The Administrative Officer, So Do Enroll Yourself For This Job Within 26th Of December, 2018. Please Check The Advertisement For More Information, It's Given Down Below. Various Administrative Officer Post →132 Vacancies. 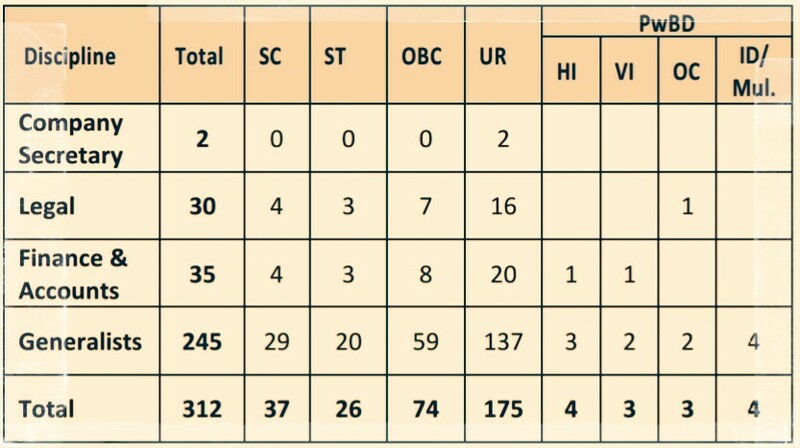 Total Number Of Vacancies →132 AO Online Vacancies. Age Limit →21 Years To 30 Years As On 31st Of December, 2018. Educational Qualifications →Please Do Read The Recruitment Notification For This. Online Application/Examination Fee →₹600 For General/OBC Candidates & ₹100 For Other Reserved Candidates, Mode Of Payment Is Online. Last Date For Online Application Form →26th Of December, 2018. Examination Date →Phase I Online Objective Exam On 30th January, 2019 & Phase II On 2nd March, 2019. Admit Card Download →For New India Assurance Recruitment 2018 Admit Card, Visit Their Official Website Below. Result →To Get NIACL AO Result, Click The Official Site Here>The Official Website Of The New India Assurance Company Limited. Now Apply For NIACL AO Recruitment 2019, Link Is Given Below. Best Of Luck & Do Visit Here For More Government Jobs News Alerts, Till Then Stay Safe And Blessed.